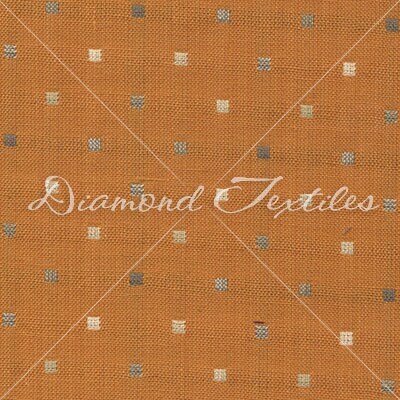 Woven Elements by Studio 93PRF-775 by Diamond Textiles, orange with multi colored squares, by Diamond Textiles. Perfect for quilting or crafting, use as a base for appliqué, wool work, or stitching. This fabric would blend with your stash of civil war fabrics. It is the perfect orange for cloth pumpkins or pair with halloween and autumn decor.